Macmillan Cancer Support is a charity very close to the hearts of so many people across the UK, including many of our staff, clients and friends. 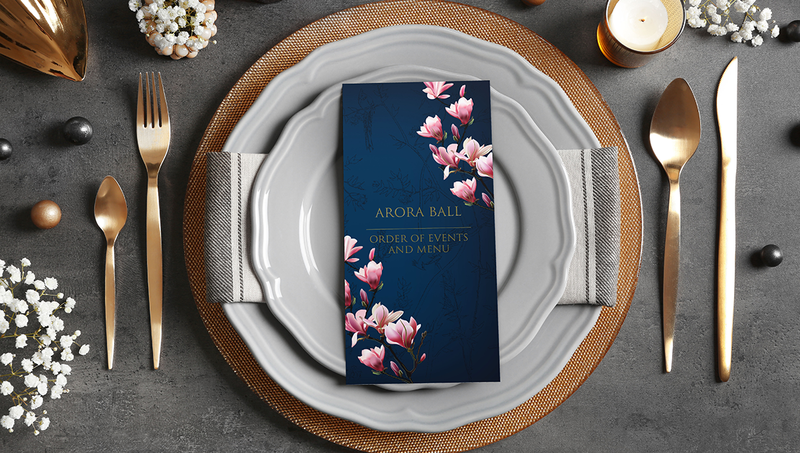 Having worked with their events team for some time on a variety of projects, we were thrilled to be able help support their fundraising activities through the design and production of event materials for a very prestigious occasion. The biannual Arora Ball, is a high-profile event run by the Arora Charitable Foundation, and was this year held at the Arora Group’s InterContinental London, The O2. Attracting over 900 celebrities, supporters and corporates, all monies raised from the evening went to support two of the UK’s leading cancer charities: Macmillan Cancer Support and The Royal Marsden Cancer Charity. 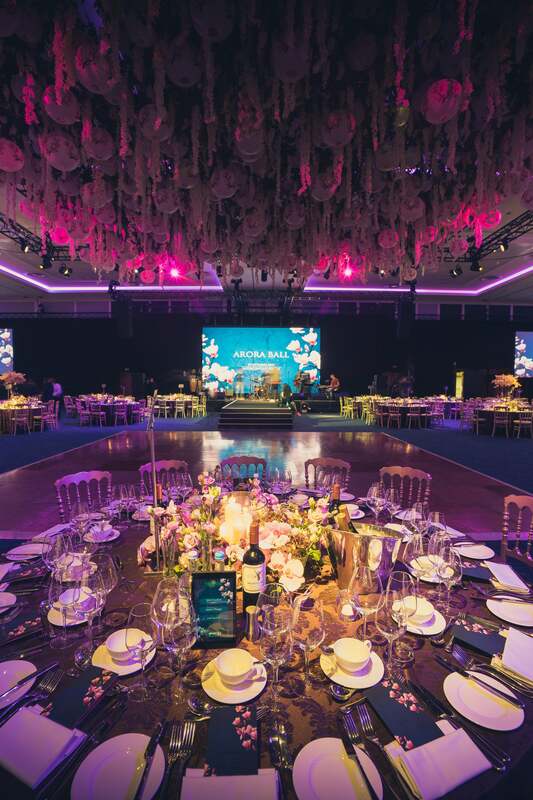 The objective for this project was clear – to produce the highest quality, unique and beautifully designed materials to help elevate this event into a truly special evening for the guests but with a focus on making a difference to those people affected by cancer. We pushed the boundaries in terms of production, testing new ways of doing things. 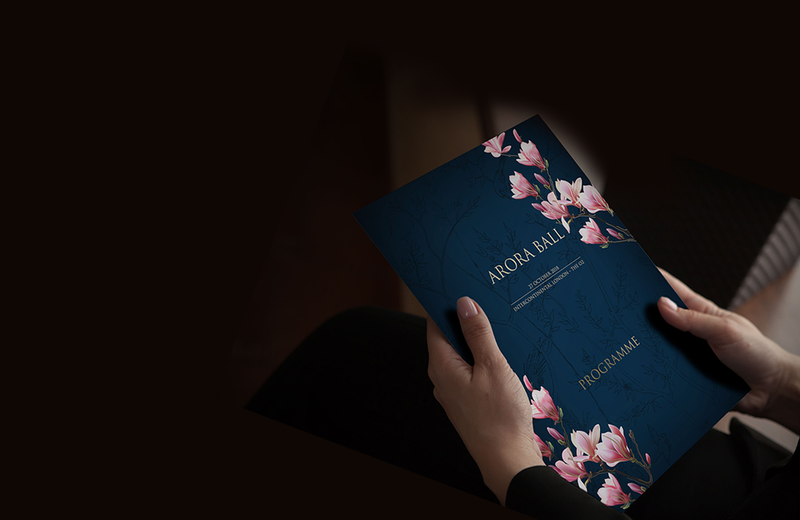 We utilised different textures and finishes to create maximum visual impact all rolled out over the full event collateral, from invitations and event programmes right through to a digital presentation showcasing the charities’ work and the phenomenal auction prize lot. You put the wow factor into the Ball and delivered everything so flawlessly that I can only give you credit for all the effort you put in, your stationery looked spectacular on the tables. The ball raised an outstanding £1.1 million for the 2 charities and it was an honour to have played a small part in helping to create such a successful event. Our work with Macmillan continues to go from strength to strength and we are currently working with them on a number of new projects including their annual Christmas Carol Concert at St John’s, Smith Square, London and their Winter Gala Ball. Thank you to the team at Ruddocks who worked tirelessly on this project, going above and beyond to deliver an utterly exquisite set of materials, commented on by many of the ball’s guests. We are delighted to be working with you. We look forward to the future of our flourishing relationship with Macmillan and to further supporting them with their ongoing mission to help people affected by cancer find their best way through.